I’ve been invited to give a photographic slide show and discussion Monday Sept 19th in Pacific Grove at Forest Hill Manor. Due to a (very) special event, you might see a few of my Big Sur Landscapes at The Clement on Cannery Row – today only. The Clement has its own rather special view of our Monterey Bay. More Good News: After a wonderful show, my photographs have been awarded an extended display at Big Sur’s Camaldoli Hermitage Gallery. Big Sur lost Barbara Spring this weekend. She was a noted wood sculptor of human characters, creating installations until the very end of her 94+ energetic years. Her work is owned by numerous private collectors and public museums. On a recent wilderness photography hike I kept getting wafts of an odd scent. Was the mysterious odor in my clothes, or hat? After a few hours a light went on as I recognized the smell as beer. That was odd, because I don’t drink beer. (Jan 31, 2011) Tom Davies and I had a fabulous Art Opening Party at Big Sur’s Camaldolese Hermitage Gallery this past Sunday. More than a dozen friends “braved” the rain showers to caravan along the exciting scenic excursion from the Peninsula. Here is a prototype product that allows you to see images in three (3) dimensions – without any special glasses. 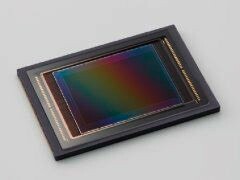 (August 2010) Canon showed off a 120 mp (megapixel) sized Sensor that could fit in a DSLR.